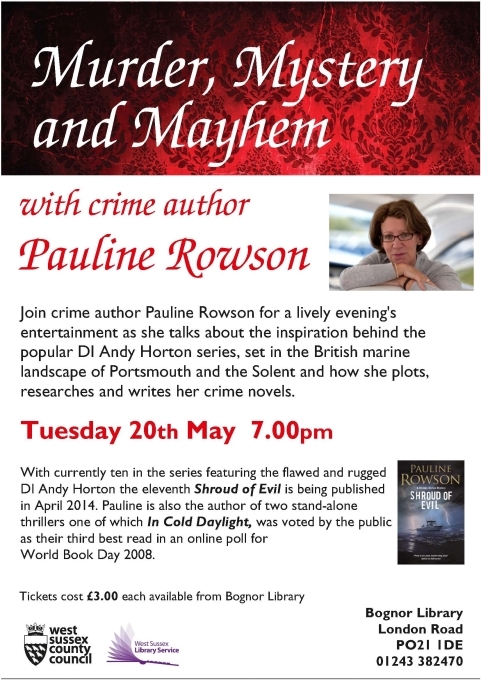 Readers in Bognor Regis are in for a treat on Tuesday 20 May when crime author Pauline Rowson will be talking about her internationally acclaimed crime series set in the Solent area featuring the flawed and rugged hero DI Andy Horton. Highly acclaimed by reviewers in the UK and the USA and translated into several languages, including Chinese, the DI Andy Horton novels have been hailed as redefining the genre of the police drama. Her cops are tough yet fallible and the series is set against the marine landscape of Portsmouth, the Isle of Wight, and the Solent. 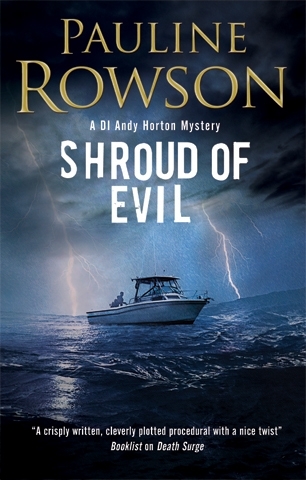 Shroud of Evil, the eleventh in the DI Andy Horton series was published in April by Severn House. Pauline Rowson will be at Bognor Regis Library on 20 May at 7pm when she will talk about how she researches, plots and writes her crime novels. Her talk will be followed by a Q & A and a book signing. For more information or media interviews please Contact Us. For information on all Pauline Rowson's events visit the Events Page. DI Horton is assigned the case of a missing person: Jasper Kenton, a private investigator. When Kenton’s car turns up, and a shocking discovery is made, Horton soon finds himself embroiled in an investigation that has major personal ramifications, and one in which he has no choice but to withhold vital information. As he struggles to crack the case, he knows it is only a question of time before someone discovers he’s kept silent, and when that’s revealed, his part in hindering a major investigation will end his career . . .